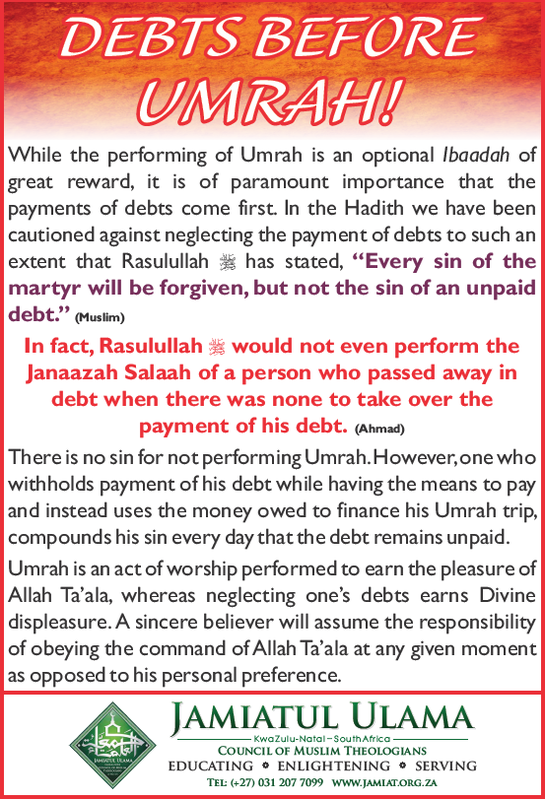 Home | Blog | Debts before Umrah! 1,986 people read this post. There is no sin for not performing Umrah. However, one who withholds payment of his debt while having the means to pay, compounds his sin every day the debt is not paid. 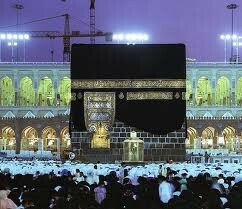 Umrah is supposed to be for the Pleasure of Allah Ta’ala, whereas neglecting one’s debts earns Divine displeasure. If a person is sincere he will not attempt the impossible of combining two opposites. Next Reduced to rags by their children.